Press Release – Summit Helicopters Pvt. Ltd. The family of Fishtail Air would like to extend our deepest sympathies to all the family members of the passengers and the Captain who lost their lives in yesterday’s tragic accident. The Aircraft 9N AKA commanded by Capt. 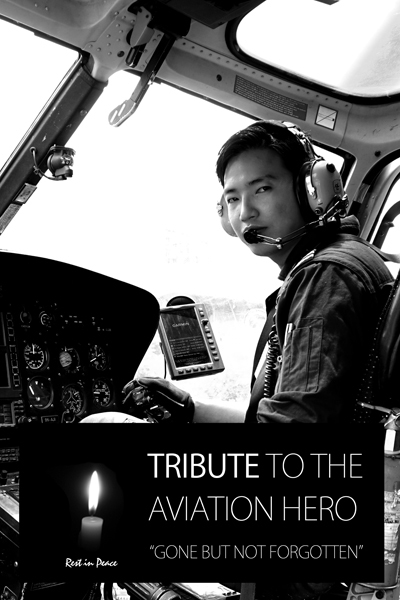 Ranjan Limbu was on a rescue mission to evacuate a patient suffering from Post-delivery problem from Philim in Gorkha and met a fatal accident at Chuchhe Bhir, Betini of Nuwakot District around 12:32 p.m. yesterday, 8th August 2016. The patient, her infant child and four other passengers together with the pilot, all lost their lives in this unfortunate incident. Evacuation of the dead bodies have been carried out immediately after the accident and are now going through necessary legal procedure before the final rituals will be performed. We are deeply saddened by the loss of lives and pray to almighty that the deceased souls rest in peace in heaven. At this moment of grief, We would also like to thank all our friends, customers, well-wishers and the people for standing by us. Posted in: Aviation News, Company News, Rescue Mission, Tourism News.